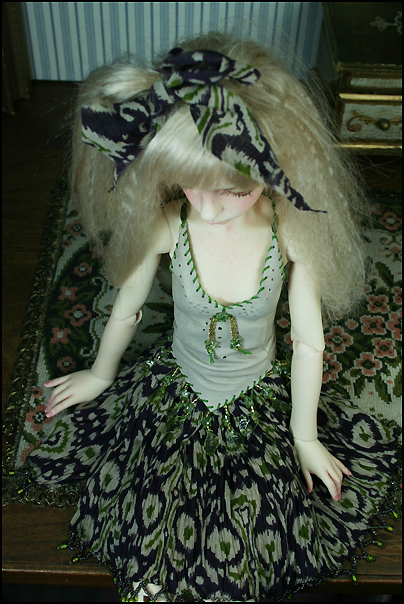 This outfits consists of a geuine leather top, cotton skirt, matching shoes (optional) and rag ribbon . 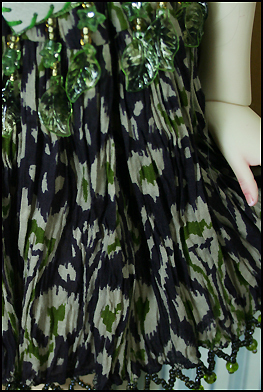 The top has a braided tie which laces up in the back.The shirt is wrinkle cotton with beaded hem line. 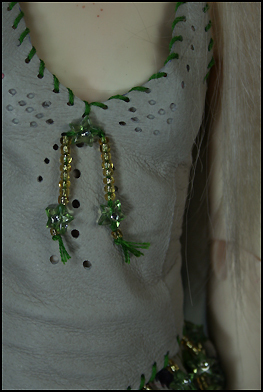 The shoes are straw braid with polymer heels and leather insoles. 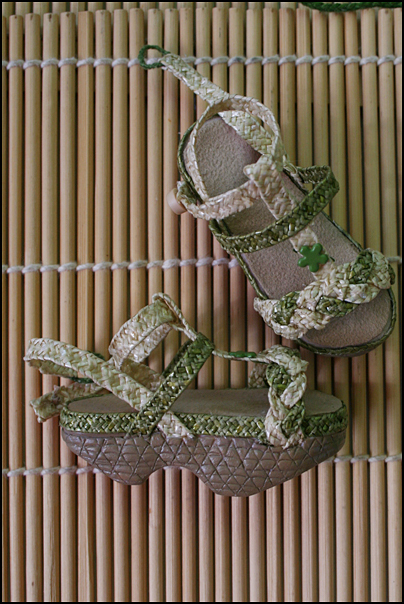 *Shoes were made by KZShoes - the top is straw braid and the soles are polymer clay.